New BRUTAL DEATH/ GRIND label from France. Subdivision of the extreme fanzine of the same name and of the SKULL FUCKED fest extreme metal festival. Prepare to GRIND!! MEXICAN AND INDEPENDET LABEL THAT RECORDED BRUTAL DEATH /GORE/GRIND BANDS. WE ALSO HAVE A DISTRIBUTING LIST. WE WANT CONTACT BANDS/ZINES/LABELS TO TRADE OUR STUFF !! properties for sale, apartments for sale, villas for sale, holiday homes for rent in alanya, turkey. real estate agent in alanya. 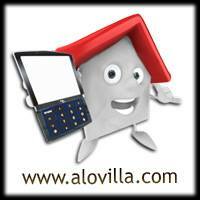 real estate investing in alanya. land for sale. retail properties for sale. commercial real estate for sale. homes for sale. houses for sale. investing undeveloped real estate projects. buying pre-construction projects. buying a villa in alanya. buying an apartment. on our website you can view all our properties with 360 virtual tour and visualize your own escape to the sun. A cheesy metal site with bad graphics, interviews, reviews, links, venues, mp3's and more! One of the best radio in Romania! The place formerly know as Rockhouse. A magazine and a Venue.